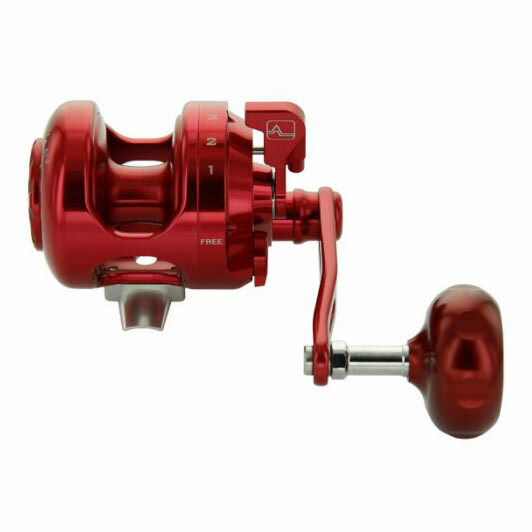 These Alutecnos Albacore Gorilla series are the best reel choice for anyone looking for a powerful hi-speed reel for light big game and vertical jigging. They are built to exacting standards in the Alutecnos factory in Monselice, Italy. 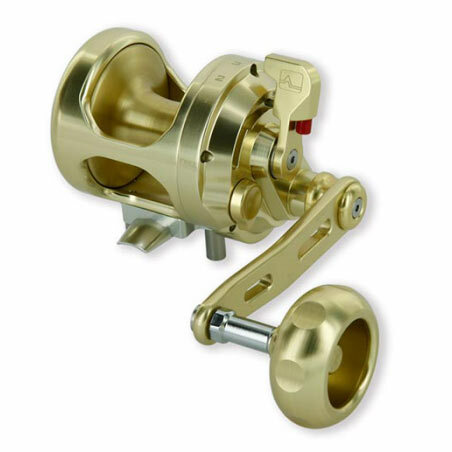 The reels offer a level of quality, sophistication, technical excellence and good looks that is hard to find in any other reel range. 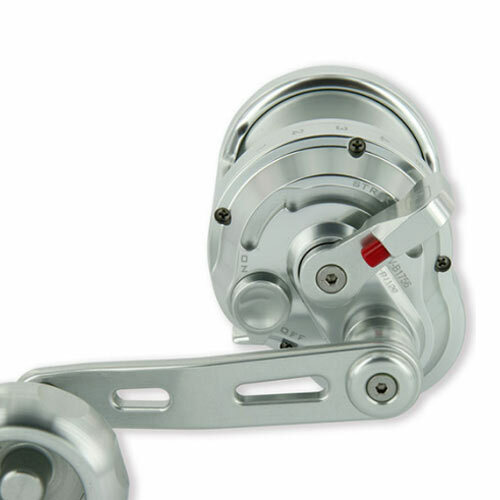 These reels come in silver as standard but there are further options to have a reel made for you in gold, blue/silver, blue, black/silver, black, red/silver or red at no extra cost. The reels are also available in left hand (for an additional charge) and you can also have the reels laser etched with your name, your boats name or anything else that fits! Gorilla 6V: integrated drag-preset and drag side plate with ergonomic design. 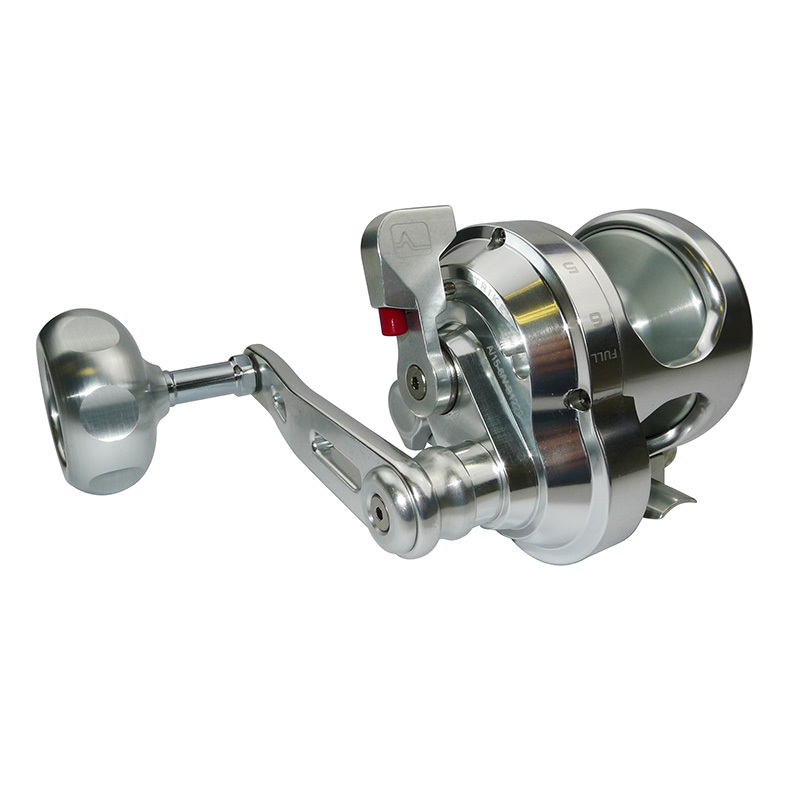 Single disc brake able to be set up to 20 lbs with guaranteed free spool, an ergonomic operanting lever that, combined with the aluminium power handle, keeps the arm at maximum thrust position. 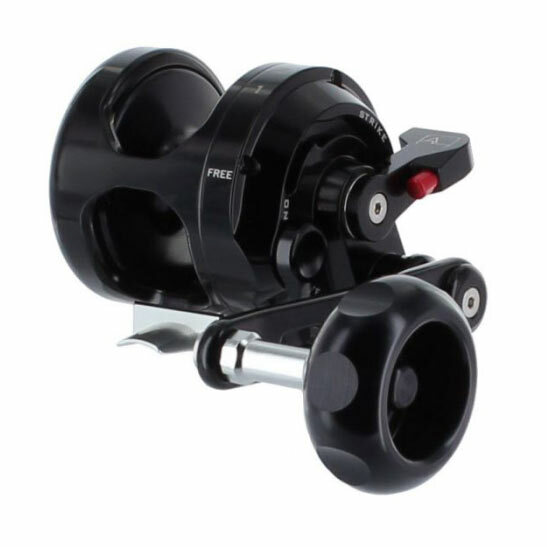 The power waste is minimized and, combined with the gear couple, allows to exploit it to the best and make line rewinding easier, faster and more comfortable (even with a fast retrieve ratio 6.2:1). 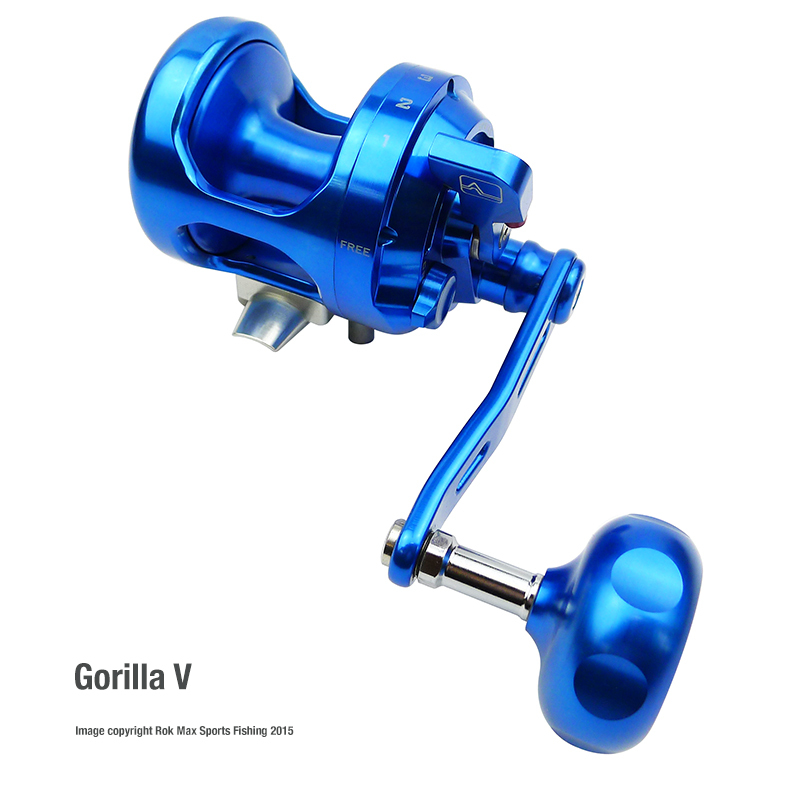 Gorilla 8V: Small, compact and above all light with a fast retrieve ratio of 6,2:1 and an unmistakable look designed and studied in all details for those who love vertical jigging and not only. New Gorilla 8V, integrated drag pre-set and drag side plate with ergonomic design for the utmost comfort during fishing action. 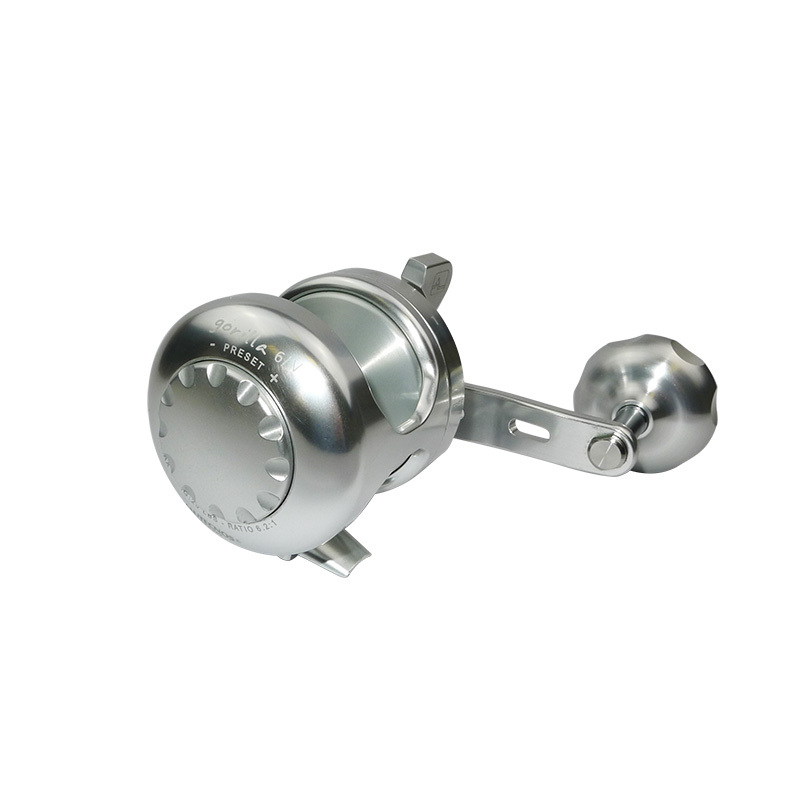 Single disc brake that can be set up to 20 LBS with guaranteed free spool a longer re-entering drive lever that, combined with the aluminium power handle, allows to generate a considerable power to better exploit the fast retrieve ratio; so as to make the two speed system unnecessary and superfluous.